1. Cylinders and Conical Baskets (as below) consist of one or more Flat Screens or Flat Welded Screens, rolled to form and welded together. Specical specification could be customize . 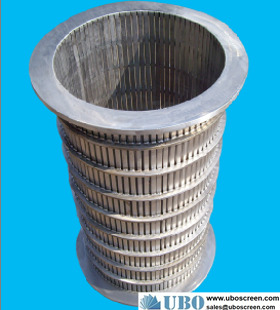 frequently used as: Strainer Baskets , Filtering Elements , Rotary drum Screens, Dewatering Screens, Pressure Screens , Screw press Screens for water clarification, cleaning, dewatering, pulp screening and fractionation, fiber retention, drying and other liquid/solid separation processes. Packaging Details: waterproof film into the wooden case in the container; as per customer's requirements.